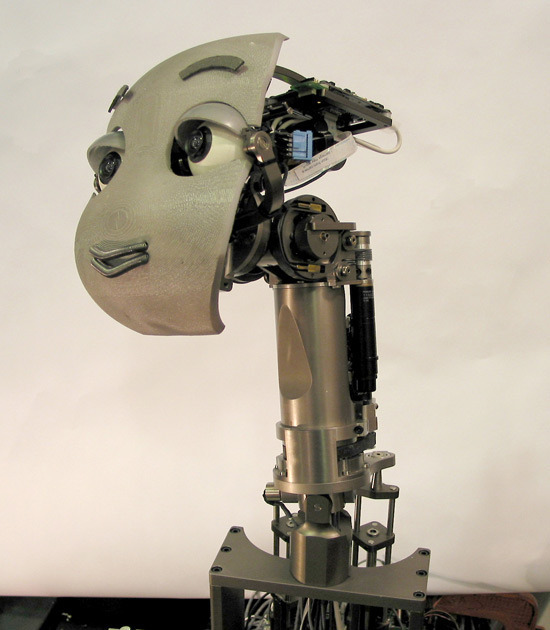 MERTZ is an active vision head robot, designed for exploring scalable learning in a social context. Inspired by how human infants learn by observing and imitating other people, [MIT] plan to have MERTZ be placed in a public venue for long periods of time, continuously interacting with people and incrementally learning about various correlations. For example, the robot may learn to correlate objects and people with frequently uttered phoneme sequences, differentiate among people and their interaction habits, learn to dislike some people who tend to annoy the robot, etc. MERTZ has recently gone through a series of experiment where it interacted with many people at different public spaces in the Stata Center.